I was getting tired of using "roundup" for multi-disc posts, so I made the switch. 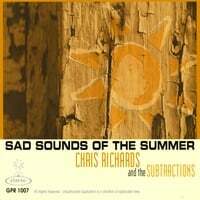 Chris Richards & The Subtractions-Sad Sounds of the Summer. Talk about patience paying off. The power pop community has been waiting a good five years for the followup to Chris Richards' Mystery Spot, a power pop disc so well-received that it even managed a 7.3 from Pitchfork. Well, our long national nightmare is over. The Detroit popper has added a backing band and released Sad Sounds of the Summer, and it's just what the doctor ordered - even if the sounds aren't sad and it's springtime. Some tracks jangle more than others (opener "I Can't Quit Her"), some rock harder ("I, Miss July"), and some do both ("Oh Canada"), but all are quite fine. Meanwhile, Richards' backing band really helps him focus his sound here, a clear case of addition by Subtractions. A must-have for classic power poppers. Cheap Star-Speaking Like an Elephant. This French band takes its name from two of the long-time titans in our genre but sounds less like either of them and more like Teenage Fanclub and The Posies, which isn't a bad thing at all. Of course, sounding like The Posies isn't a shock here as half of the disc was produced by Ken Stringfellow and the other half by Jon Auer, in what could be considered the production equivalent of their Private Sides EP. Of course it's one thing to sound like a band and another to sound like a band and have great songs of your own. Thankfully, Cheap Star falls into the latter category with gems such as "For Saving Grace", "Sugar & Candy", "Shell" and the all-too-brief "Free to Believe". 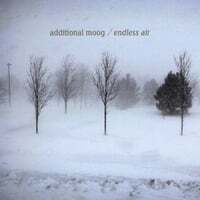 Additional Moog-Endless Air. This UK band's pop/Americana masterpiece Thirty Three & a Third made my top 10 in 2007, and they're back with the followup. While not as immediate or upbeat as its predecessor, it's still a quality laid-back listen in the vein of Autumn Defense or Hotel Lights. The title of the opening track, "Quietly Through the Canyon", is a good indicator of where they're going here, and other standouts include "Harmonica Fuel", "I'm Not Safe in This World" and "Signs on Fifty-Four". Thanks for letting me know about Chris Richards. I like his songs. I'd never heard of Chris (without or without The Subtractions) before, and whilst listening to "I Can't Quit Her" I wondered if he'd ever heard of Paul Kelly's "Leaps and Bounds". I hear quite a few similarities between the two songs – the first thing I noticed was that they share similar chord structures (a repeating G then C in the verse, moving into a minor chord for the next section). Kelly is arguably Australia's best songwriter (he's certainly revered here, basically thought of an Australian Woody Guthrie or maybe Bruce Springsteen) but he's not above pinching ideas from others. For example, the middle 8 in "Leaps and Bounds" uses a snippet of the main riff in The Flamin' Groovies "Shake Some Action". Incidentally, if you want another example of Paul Kelly's songwriting prowess, try "To Her Door". Apart from a couple of Australia-specific references, you'll have no trouble getting the gist of the song. The lyrics in the last verse make my eyes moisten every single time. Gotta ask: Since "Cheap Star" has been taken,is there a band out there somewhere named "Big Trick?" interesting post....we've never got the Paul Kelly comparison before. He's a great songwriter, indeed. And, you got the chord's right, good job! I always thought 'I Can't Quit Her' sounded abit like the Gin Blossoms in a way. either way, we're real happy the way it turned out. Glad you enjoyed the song. 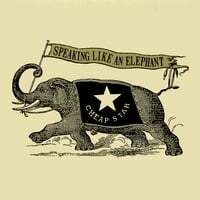 I really enjoy 'Speaking Like and Elephant'. These are songs that we had heard many times in some form, but the French guys have given them a unique sound a nice simple French-English lyrics. I like the first part of the album much better, 'Shell' and 'Saving Grace' are great. Thanks for the recommendations and the great blog. Freebie of the Day II. Shopping on Amie Street (updated).